Toyin was born on 5th September 1984 in Auchi, a town in Edo State in southern Nigeria but spent her early life in Ibadan, the capital of Oyo State in southwestern Nigeria. 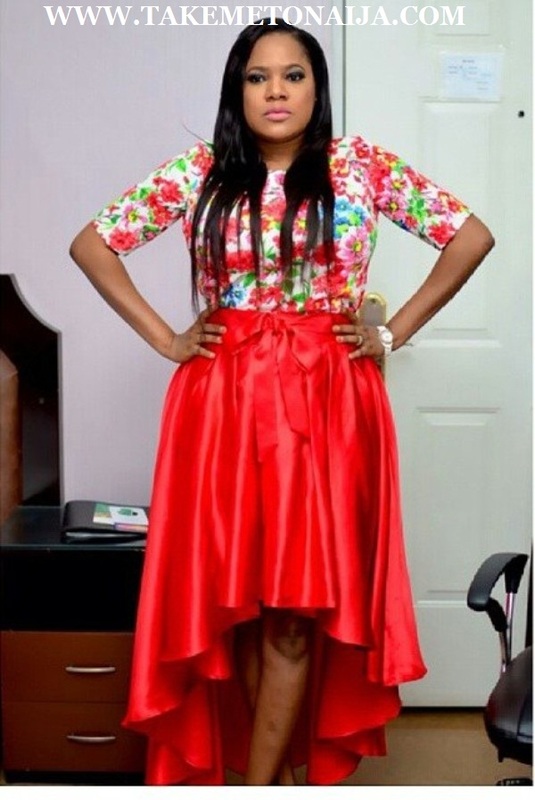 Toyin Aimakhu is the youngest child in a family of five. The actress has a National Diploma in Marketing from Iree Polytechnic. She obtained a Higher National Diploma certificate in marketing from Ibadan polytechnic same class with Dibie, C.B.N aka x7 before she proceeded to Olabisi Onabanjo University, where she received a Bachelor of Arts (B.A.) in philosophy. She attended St. Annes Secondary School, where she used to drum. She was a drummer girl. Then, she played handball and football too. She revealed she was even in the Oyo State team. Toyin says she came from a poor family even though she believes it was still fun. According to her she grew up in a small community, like a village “but it was fun”. Because they were so healthy, we ate fresh food and there was nothing to worry about. No, they were not but that was what they could afford at that time. Though, we did a little farming, my mum is a pastor and founder of churches. My dad used to work with Ibru in Benin but has retired a long time. He is also helping in the church as well. What was it like being poor? Well, I didn’t know we were poor; I just got to realize it. You know there are some people who are poor and you look at them that they are poor but they don’t see it. It was later I realized that we were poor. It was later I realized that that was why we couldn’t eat spaghetti because we couldn’t afford it, and we ate rice once in a week. But to me it was fun and it was just a normal way of living. It was when I was growing up that it really dawned on me. When I got to school, I also noticed but really it was fun for me growing up that I hardly took notice that we were poor. According to her; Her parents didn’t like her wanting to be an actress at first but her mum just called her and gave her some words of advice, that she should hold the family’s name in high esteem. They don’t watch movies but sometimes people watch and they tell them, and when they ask her about some roles she played, she tries to explain to them or sometimes she just tell them that’s not her. Toyin said she’s played roles in movies that she regrets. Trust me. She believes it is because of the passion she has for the job, she play some roles and she wants them to look real. When she leaves the set, she will be like ‘why did I do this?’ Or when she watch some movies she’s acted in, she will ask herself ‘why did I play this role like this?’ Often times she wonder why she has not met her husband long time ago to correct her about some things. She began acting in 2003, when Bukky Wright, a Nigerian film actress, visited Ibadan to shoot a movie. Over the years, she has produced, directed and featured in several Nigerian films, such as Alani Baba Labake and Ebimi ni. She was nominated for Best Supporting Actress in a Yoruba film titled Ebimi ni at the 2013 Best of Nollywood Awards alongside Joke Muyiwa, who was nominated for Best Lead Actress in a Yoruba film titled Ayitale. Based on her acting career, Toyin has also been called upon by politicians to campaign for them. At one of the programs for Nigeria President Goodluck Jonathan’s re-election bid in 2015, the actress said she was prepared to die for the Peoples Democratic Party (PDP) on whose platform Jonathan is contesting. But she later came out to apologize to her fans about the comments and urged Nigerians not to spill their blood for any politician. Toyin found love in the arms of fellow actor and Tinsel star, Adeniyi Johnson.They met on set and the attraction was mutual. On December 31, 2012 on their way back from a movie location, he proposed to her and they got married the following year, July 8, 2013. You are both actors, how did you meet him? I actually met him on set. No, he was my junior colleague and he is still my junior colleague anyway. He just walked up to me and said he liked my movies and I said ‘thank you’. You see, I am a kind of person that is very free with everyone. I don’t keep to myself, even if you are an upcomer, I don’t care who you are. I am just me and I am free with everybody. When my car was stolen, he had the opportunity to ask me about it, and we became friends. At that time I was single, I had issues with my ex, so we became friends and we got talking and I realized he was even three years older than me. I also realized he is a fantastic guy and very intelligent. I was like let’s give it a trial. to intervention from family and friends. Just about two weeks, the couple had another rift with Toyin changing her title to “Miss” which got a lot of tongues wagging. It was alleged that Toyin caught her husband cheating on her again and she reportedly moved out of the matrimonial house before they later reconciled. the actress separated from her husband after finding some flirtatious messages addressed to other women on his phone. Her husband Johnson publicly admitted his offence, apologized to his wife and even called on her fans to help him apologize but she seems not to be budging. Well, the marriage has not gotten an official divorce yet as of 2015, but the marriage maybe be heading for divorce anytime soon. The actress has many awards to her name. Which includes amny NEA awards, BENTV awards, AMAA and more. Toyin signed a multimillion naira endorsement deal with a popular tech company Vas2Net technologies in 2014, which is her first popular endorsement. The actress is among the most controversial actresses in Nigeria. Earlier in her career before she got married she is known to be a young actress who likes to play very raunchy scenes often in movies. Ever since she got married her controversies increased even though she stopped acting raunchy scenes. There are always rumors and news about her relationship with husband and more. The actress has been in quite a lot of drama in her personal love life for the past 4 years.. she has gotten in relationships she’s revealed she regret.